Go from the yacht club to the nightclub with this regal piece of jewelry. 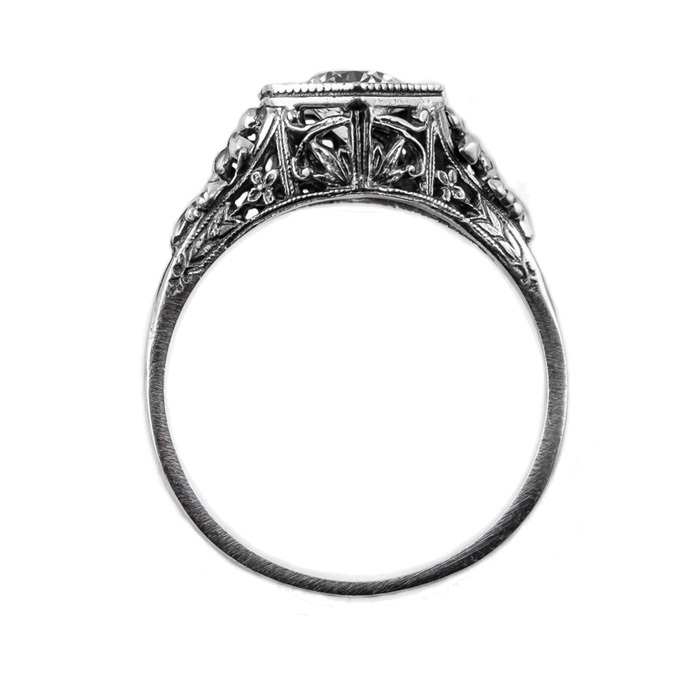 The expert jewelers at Apples of Gold has exceeded all expectations when they created this vintage style ring. The gentle floral touches in the 14K white gold band are a stunning setting for the tanzanite gemstone. This ring measures 5.5mm and the tanzanite gem is round in shape and is expertly placed in the center of the design. Do not pass up the chance to own such a unique piece of jewelry. 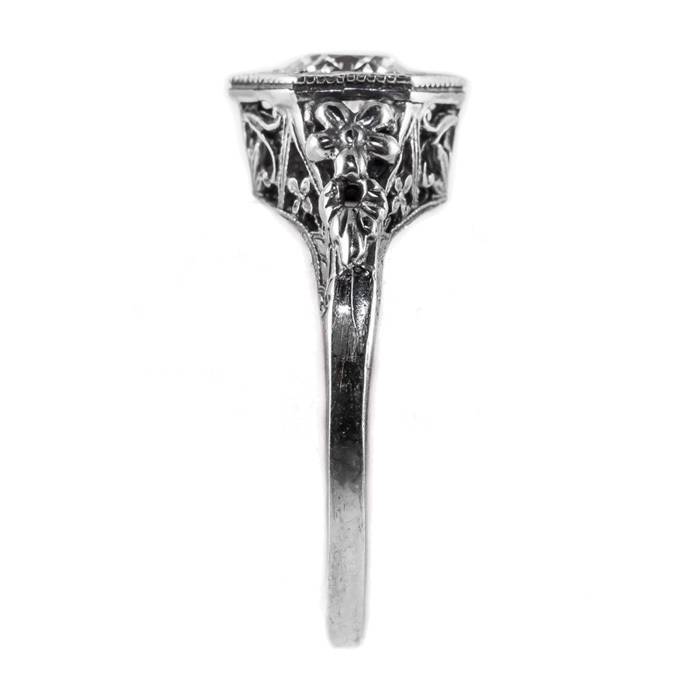 This is a truly show stopping 14K white gold ring that is vintage inspired. 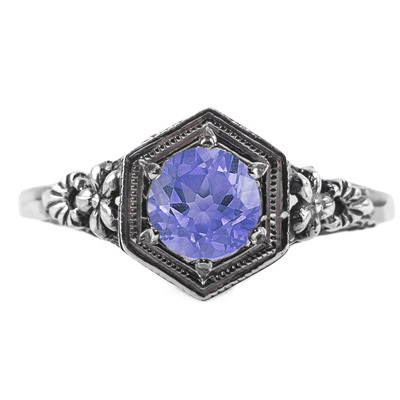 We guarantee our Vintage Floral Design Tanzanite Ring in 14k White Gold to be high quality, authentic jewelry, as described above.